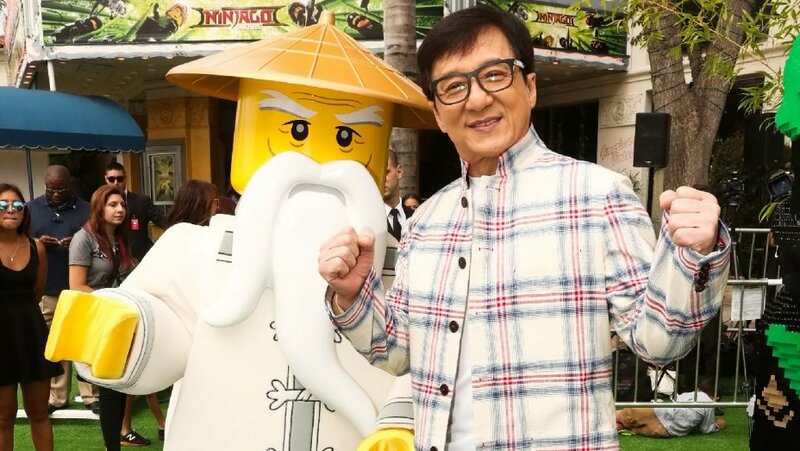 This year's recepient of the Honorary Oscar for Lifetime Achievement, Jackie Chan stars as the venerable Master Wu in Warner Bros. Pictures' all-new, big-screen event, The LEGO NINJAGO Movie. This wise, all-knowing mentor promises to train the ninja in the ancient art of Spinjitzu fighting, but first, he challenges them not only to balance on rocks but to find the balance within themselves. He carries a big stick, which he plays like a flute. Years of meditation have not softened this warrior’s edges, or his ability to crack himself up, and Master Wu is full of surprises. Indeed, seeing promise in the young ninja, Lloyd, and knowing that NINJAGO City needs a champion, “Master Wu is helping Lloyd to achieve his destiny,” says Chan. In the film, the battle for NINJAGO City calls to action young Master Builder Lloyd, aka the Green Ninja, along with his friends, who are all secret ninja warriors. Led by Master Wu, as wise-cracking as he is wise, they must defeat evil warlord Garmadon, The Worst Guy Ever, who also happens to be Lloyd’s dad. Pitting mech against mech and father against son, the epic showdown will test this fierce but undisciplined team of modern-day ninjas, who must learn to check their egos and pull together to unleash their inner power. Wu and Garmadon’s long-brewing animosity ultimately erupts atop a rope bridge over a rushing river, which Chan cites as his favorite fight in the film. Chan not only stars in the film, but also brought his renowned stunt team to choreograph the fights—bearing his trademark of rapid-fire, spectacularly executed moves, deftly undercut with a sense of humor. How do animated kicks, flips and jumps compare to the real world? “You can create all kinds of movement, all kinds of impossible things, and through the animation, make it 10 times better and more fun,” the genuine master declares. In Philippine cinemas September 27, The LEGO NINJAGO Movie is distributed worldwide by Warner Bros. Pictures, a Warner Bros. Entertainment Company.